The Te Anau District Autumn Flower Show celebrates 51 years on 8/9 March at the Fiordland Community Events Centre – Luxmore Drive on Friday 8 March 2.00pm - 6.00pm and Saturday 9 March 9.00am – 4.00pm. Flower Show Committee organizer Judy Matthews said “Although our flower show has celebrated 50 years in 2018, we still need some “fresh input” and involvement from the community”. “Any person/persons in the community have any suggestions/ideas or would like to run an event in conjunction with the show, showcase your group or have a stall or just help out with the running of the show staging or taking of entries”. Please contact Judy Matthews on 027 233 5955 or 03 249 7445. The Autumn Flower Show was first mooted in 1968 by the Late Betty Dodds, along with Te Anau Primary School Headmaster Jack Richmond and held at the school. Current organizer Judy Matthews took over the reins in 2011. There are a number of different variety of blooms exhibitors can enter which are available in the schedule from Mitre 10, Te Anau Four Square, Te Anau Library, Southland District Council Office and Fiordland Nursery. Classes for: Floral Art, Dahlias/Roses, Baking/Preserves, Handicrafts, Photography, Cut Flowers, Vegetables and Children’s Section. Judy said “Hunt out your latest brew of jams, chutneys, sauce, pickle, or preserved fruit. Pick some of those beautiful blooms in your garden all helps the Committee to celebrate 51 years. “Your support would be much appreciated”. The popularity of the “Grow Daffodil in a Pot Competition” has gained momentum and is now in its ninth year. Available to interested growers in the community and bring back to the 2019 Spring Flower show. Come to the Autumn Flower Show to collect your bulbs and pot and a minimal charge per pot this year, contact Judy Matthews. Each participant receives a pot and bulbs with instructions and are urged to enter their pot in a special class at the show. 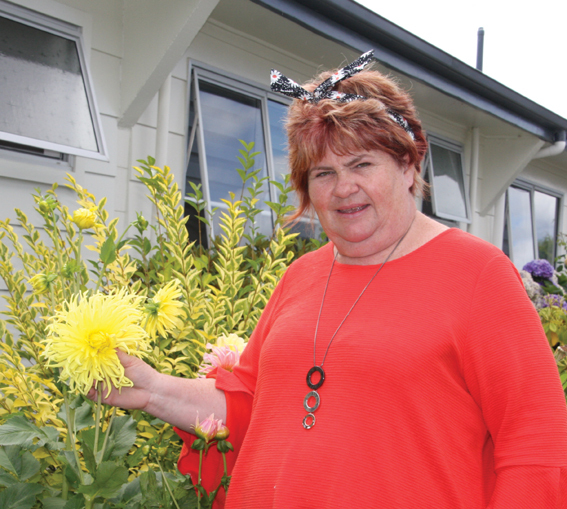 Te Anau floral art enthusiast and Flower Show Committee member Ann Campbell is interested in forming a Floral Art group. Ann encourages likeminded people with an interest in or wanting to learn to contact her on 03 249 7227. First meeting is being held on 27 February at 2.00pm at 59 Kaipo Drive, Te Anau to enable those who want help for the upcoming Autumn Flower Show to attend this meeting.